Theft charges in Virginia can be misdemeanors or felonies, depending on the value of the items allegedly stolen. Under Virginia Code § 18.2-95, if the value of the items is $500 or more, the charge is grand larceny. Similarly, if the item allegedly stolen is a firearm, or if the item is valued at $5 or more and is stolen from the person of another, it is grand larceny under § 18.2-95. On the other hand, under Code § 18.2-95, where the value of the stolen items is below $500 and the item is not a firearm and was not stolen from the person of another, then the offense is petit larceny. 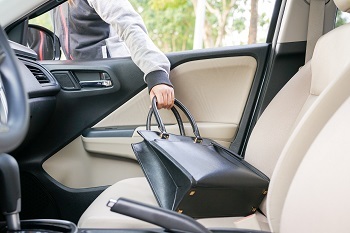 What are the penalties for grand and petit larceny in Virginia? Petit larceny is a Class 1 misdemeanor punishable by up to 12 months in jail and/or a fine of up to $2,500. Grand larceny is an unclassified felony punishable by 1 to 20 years in prison, or in the discretion of the judge or jury, a jail term of up to 12 months and/or a fine of up to $2,500. More importantly, anyone convicted of grand larceny is a convicted felon with a permanent criminal record. Virginia law escalates the penalties for misdemeanor larceny offenses for subsequent convictions. Under Code § 18.2-104, a misdemeanor larceny following any prior conviction for any type of larceny offense is punishable by no less than 30 days in jail and up to 12 months in jail. A third or subsequent misdemeanor larceny offense is a Class 6 felony, punishable by up to 5 years in prison, or in the discretion of the judge or jury, up to 12 months in jail and/or a fine of up to $2,500. Because of the seriousness of larceny convictions and their potential impact on your career and your freedom, it is critical to seek the assistance of an experienced criminal defense attorney if you face any larceny charges. The attorneys at Greenspun Shapiro are experienced in representing clients on larceny and shoplifting offenses, negotiating with prosecutors, and representing clients at trial where appropriate. In some cases, an agreement to defer prosecution and ultimately dismiss the charge may be possible, as well as other plea agreements that can help minimize the impact of a conviction and mitigate any applicable penalties.